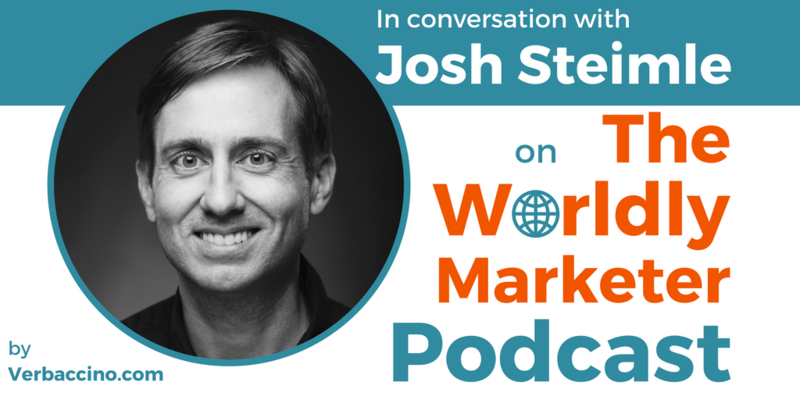 Josh Steimle is the CEO of MWI, a global digital marketing agency that he founded in 1999, when he was still a college student. In 2013, Josh moved from Salt Lake City to Hong Kong to open his agency’s first international office. Today, MWI has offices in the United States, Hong Kong, China, Singapore, and more on the way. Besides running his agency, Josh is a TEDx speaker and a frequent keynote speaker at marketing and business events. He is the author of Chief Marketing Officers at Work, which was recognized by Success magazine as one of the “5 Best Business Books of 2016”. He is also a regular contributor to publications such as Mashable, TechCrunch, and Entrepreneur magazine. Now based in Shenzhen, Josh has taken on the role of organizer for the China Marketing Summit, which is the largest marketing conference in China. It has been called a “must-attend conference for anyone interested in marketing to Chinese audiences” by Forbes magazine. Among his many accolades, Josh was named by Forbes magazine as one of “25 Marketing Influencers To Watch In 2017”, he is listed on Entrepreneur magazine’s “50 Inspirational Entrepreneurs to Watch in 2017”, and he was ranked the “7th Most Influential CMO in the World” by Richtopia. Through his new project called Influencer Inc., he now coaches other individuals to become influencers through their writing, speaking, and marketing.